After 14 years of serving Ripley’s local community, Seymours Director Ben Conquer has now completed the acquisition of the founding branch alongside fellow Directors Joe Leonard, previously manager of Seymours Guildford, and Burpham’s Richard Stovold. 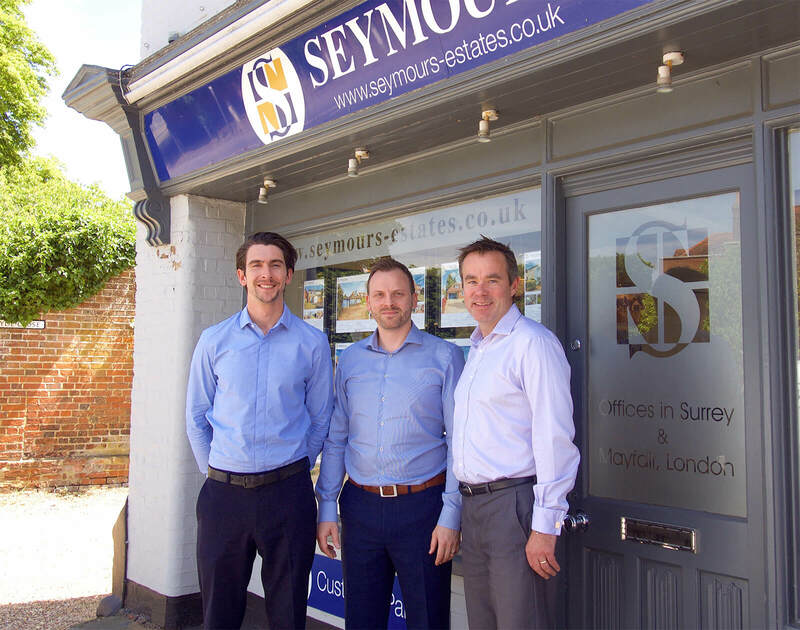 With the Seymours trio having over 30 years combined experience between them, they will be utilising their skills to help with the growth of the branch moving forwards, headed up by both Ben and Joe, who’ll be the branch’s resident partners. Ripley was the first branch to open, back in 1992. After 25 years of serving the local community, Seymours continues to be one of Surrey and Hampshire’s largest award-winning independent estate agents, totalling a strategic network of 18 offices.